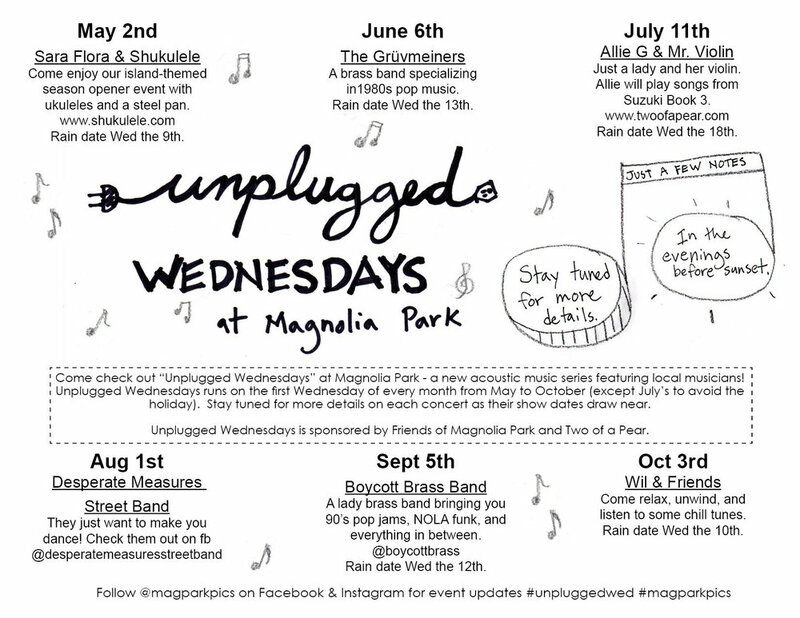 I lead and organized a music series at our local park. I will play my violin in July. And midway through the season I will present how the music series is going to the Park and Recreation Commission for Arlington, MA. To have the music series at all we needed to get our permits approved by the Commission. This is the first year we are doing the music series. The event was sponsored by Friends of Magnolia Park and Two of a Pear.